Come and join the world’s largest gathering of sustainable communities! This July, hundreds of sustainability experts, practitioners, and the ecovillage-curious will come together in the beautiful surroundings of Lilleoru community, Estonia, to enjoy world-class speakers, hands-on workshops, and networking with communitarians from around the world. Speakers include renowned activist Vandana Shiva, “the Steve Jobs of Sustainability” Gunter Pauli, and many more. Dozens of workshops, talks, activities, opportunities for networking, entertainment and play will make up this year’s programme – which will also have a special focus on the culture of our Estonian hosts as they celebrate 100 years of independence. 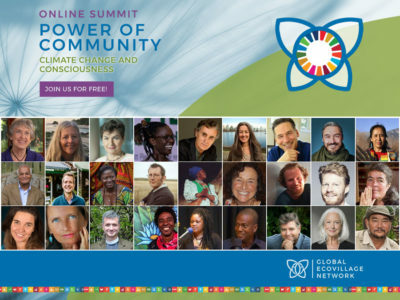 Harnessing the wisdom of conscious communities, together we will forge meaningful connections and craft practical solutions that will inspire conscious change in ourselves, in our communities, and in whole countries alike.